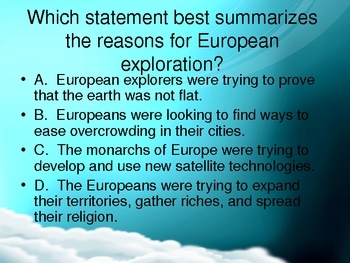 These are review multiple choice questions for many grade level social studies classes. 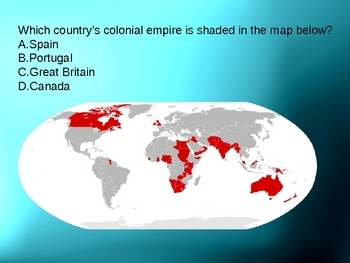 They cover the regions of Europe, Australia, Canada, and Latin America, and the common social studies strands including economics, government, cultures, geography, environmental issues, etc. 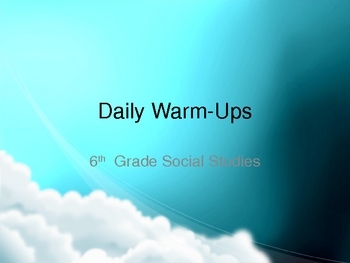 I use the questions as daily warm up exercises. You may find other uses for them such as review games. There are 66 slides, so that would cover 66 days if you used one each day. Enjoy! 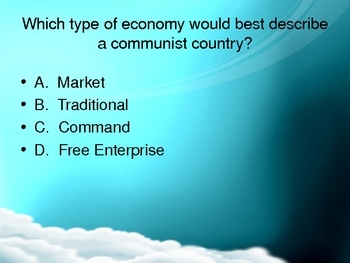 (Note: The answers to each question are in the notes section of the PowerPoint slides.